Our brokers have access to up to 10 different insurers that can provide insurance for Residential, Commercial and mixed Strata Titles, including community title and stratum. 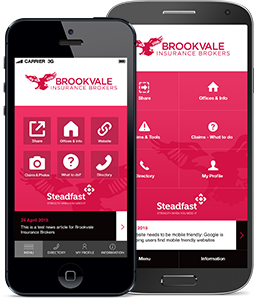 Whether your property is a two unit dwelling in Balgowlah, a mixed use commercial property in Brookvale or a highrise CBD building, we can help you find the right insurance solution. Building – Building and Common Area Contents covered against accidental loss or damage. The Strata Schemes Management Act 1996 – Section 85 requires valuations to be obtained for the purpose of insurance, at least once every five years, by a registered valuer. Your building sum insured should reflect the cost to rebuild taking into account upgrades required by changes in the Building Code. Legal Liability – Indemnifies the Body Corporate as common property owners for legal liability owed for personal injury or property damage. Voluntary Workers – Loss of income to a person who sustains bodily injury while voluntarily working on behalf of the Body Corporate. Workers Compensation – Where required or permitted by State law. Fidelity Guarantee – Provides protection against fraudulent misappropriation of Body Corporate funds or property. Office Bearers Legal Liability – Protects office bearers and committee members against legal liability to pay compensation for wrongful acts, errors or omissions. Machinery Breakdown – Provides protection against unforeseen damage to Body Corporate machinery such as garage motors, air conditioning plant, lifts etc.